Recently you might have seen that I was lucky enough to win a big prize on Miners Cosmetics twitter. I won lots of products and have ended up with quite a few multiples so I thought I'd do my own little giveaway to say thank you to you all for the support you have given me over the past weeks. Also I was recently sent a Eye of Horus Liquid Eyeliner to review by a lovely PR but unfortunately I don't use or wear liquid liner so I thought I'd throw that in as well, with the PRs permission. This is so kind o you to do a giveaway! A beauty product I'd recommend at the moment is the kate moss lipstick in #19 I'm obsessed! I would have to recommend the Bourjois Happy Light Foundation. It's definitely my new fave and is all I've been reaching for since I got it! This is a really lovely giveaway. What a fab giveaway! I'd love to see more wishlist posts! Dr Brandt Pore Minimiser, I was lucky enough to get this as a gift as its expensive but so good for young and mature skin, I will invest. Gives a lovely even base under or over makeup. Not really a 'beauty product' - keep some olive oil in the bathroom and give yourself a good 'coating' after your bath/shower (including your feet). Best done before bed as not a good idea if changing into 'day' clothes as the oil can stain. I love my Clinique Dramatically Different moisturiser. I didn't realise how bad my skin felt until I started using it. It's just been updated too so I'm looking forward to the next bottle I buy! My fave product will always be Clarins Beauty Flash balm, it has a knack of making me look much more awake! A friend introduced me last year and now i love it!!! The beauty product I highly recommend trying out is The Body Shop camomile cleansing butter. Takes off all makeup including super stubborn mascara and leaves your skin feeling ah-mazing. I'm onto my second tin now and I already have a third backup! I recommend: L'Oréal Paris Skin Perfection 3 in 1 Purifying Micellar Solution. So totally gentle, feels like water yet fantastic at removing every last trace of make-up! merumaya, top notch luxury products! I'm currently using a l'occitaine moisturiser and loving it - my skin feels so much more elastic and it wasn't that stiff in the first place lol!!! I've never tried this brand before but the shades look lovely. I think i've entered correctly.. I'm being really blonde and don't know what gfc means? I would recommend collection 2000 24hr extreme felt liner in black! So amazing! Never used it but I have very dry skin so intend to try this range out. Thanks so much for the giveaway! I recommend stipple brushes for applying foundation, gives so much smoother coverage! Lovely giveaway! My fav products at the moment have got to be Topshop lipsticks, i think they are great!! i would reccommend simple skincare. the price is great and its all natural. i love it as i have very sensitive skin. I've been using Eve Lom's Rejuvenating Mask and I love it. I love using No7 foundation, but I would love a review on a foundation or powder that will hide my red cheeks when I blush. I'm looking for something to help me for my wedding. benefit they're real has to be my favourite ever! 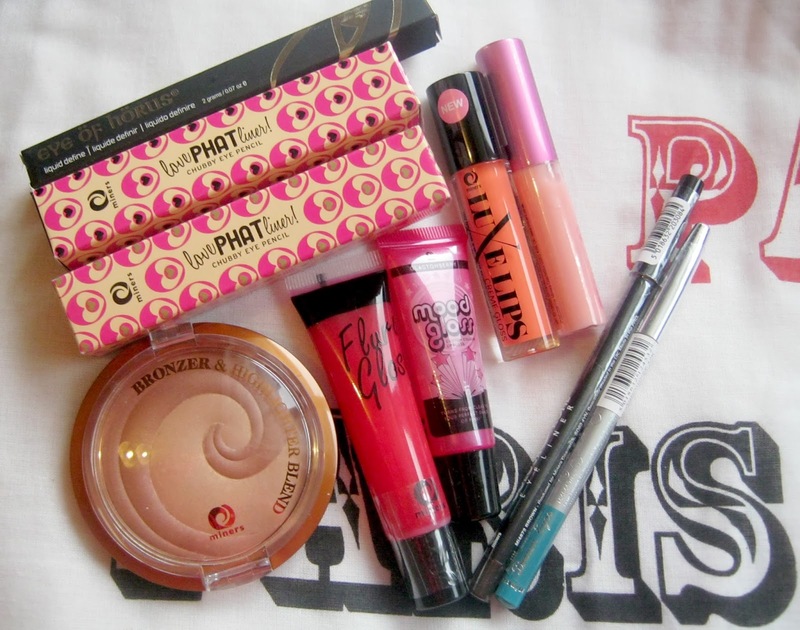 My all time beauty favourite is Benetint by Benefit. Its great for adding a touch of colour to lips and cheeks and a bottle lasts forever. In fact I thinkk it regenerates when I;m not looking. I will recommend bareMinerals READY SPF20 Foundation till the cows come home. The coverage is brilliant!